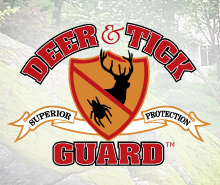 Deer & Tick Guard services the following areas in Connecticut: Bethel, Bridgewater, Brookfield, Danbury, Easton, Gaylordsville, Monroe, New Canaan, New Fairfield, New Milford, Newtown, Oxford, Redding, Ridgefield, Roxbury, Sandy Hook, Sherman, Southbury, Trumbull, Washington, Weston, Wilton and Lower Fairfield County. We offer both Organic & Traditional products for many of our services. We are a family-owned and operated company committed to providing our customers with the prompt, courteous and expert service they deserve. We use safer, more effective products, to ensure that your lawn and landscape is a safe, healthy environment for you and your family to enjoy. We offer excellent service at competitive prices. We are fully licensed and insured, with more than 30 years of experience in the pest management and lawn care industries. We give back to our local community. How? We sponsor and participate in local charitable events.